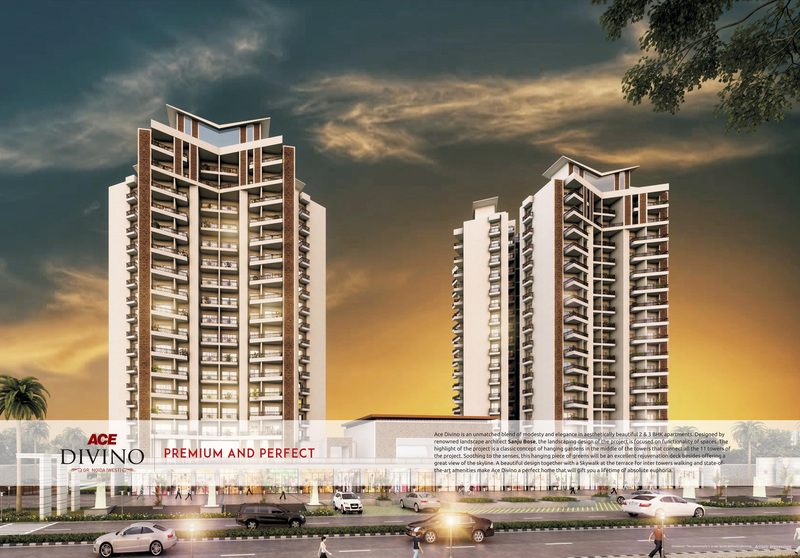 Superseding the expectations of the residents, ACE Divino a newly launched by ACE Group. Set amidst greenery in a prime location in GH-14A, Sector 01 Greater Noida West, ACE Divino Greater Noida West offers 2 and 3BHK apartments from 995 sq. ft. to 1425 sq. ft. fully loaded with all modern amenities and facilities. A grand residential establishment offering huge investment opportunities for the home buyers. An illustration of sophisticated artistry and contemporary design, The price of which is available at ACE Devino Price list. For more information on these apartments in Greater Noida West.